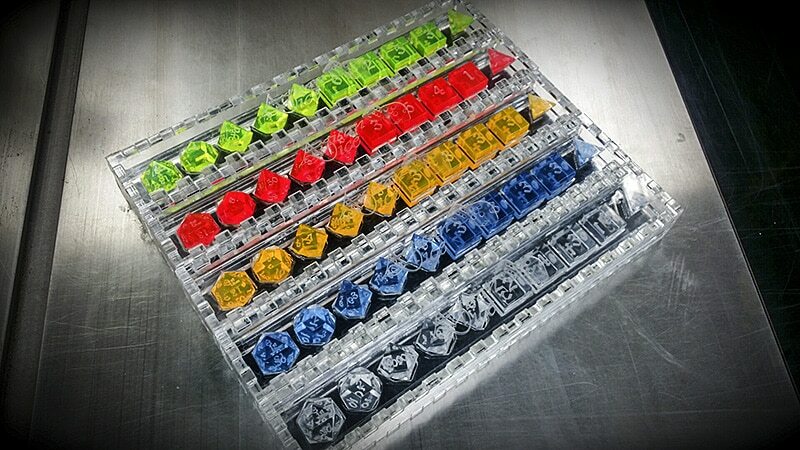 Each of our Acrylic dice are individually machined and then polished in 5 stages to bring back the optimal clarity and luster inherent to cast acrylic. 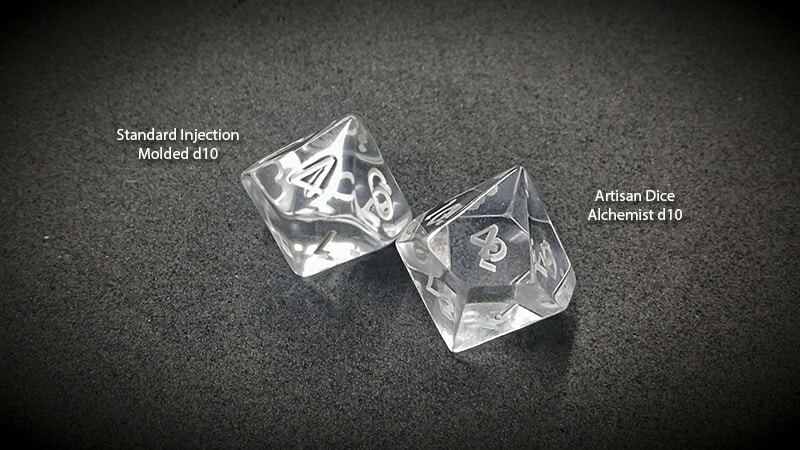 This process is labor intensive but as you can see in the image to the right, it produces far superior results to injection molded acrylic dice. Is there any way to get a pair of D20 dice in this material? A very special person to me is turning 21 in November and I want to get him something he’ll love.. Thanks! Yup just order 2 of the single d20s. And congrats on your special person turning the big 21! 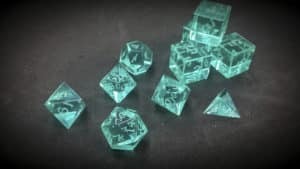 I’ve had a set of these for more than a month and I had to post to let folks know these are absolutely fantastic. They feel great and look fantastic, pictures don’t do them justice.